Negative Capability Press Publishes Maureen Alsop’s "Later, Knives & Trees"
Maureen Alsop (Mantic, Augury Books, 2013) has recently published a new full-length poetry collection entitled Later, Knives & Trees with Negative Capability Press. Praised by many, including E.C. Belli and the late Hillary Gravendyk, Later, Knives & Trees deals largely with subjects of grief and coping with death. We are glad to include a poem from that collection, “Sanctimony,” below. I might judge the shadow of myself, the slight will of my shadow that keeps things just. without intimation I record collusions temporal heat. I keep record of your records. Negative Capability Press was founded in Mobile, Alabama and has been publishing award-winning books since 1981. They are a Member of APSS: Association of Publishers for Special Sales (formerly SPAN). More information on the press, as well as Later, Knives & Trees, can be found at their website. 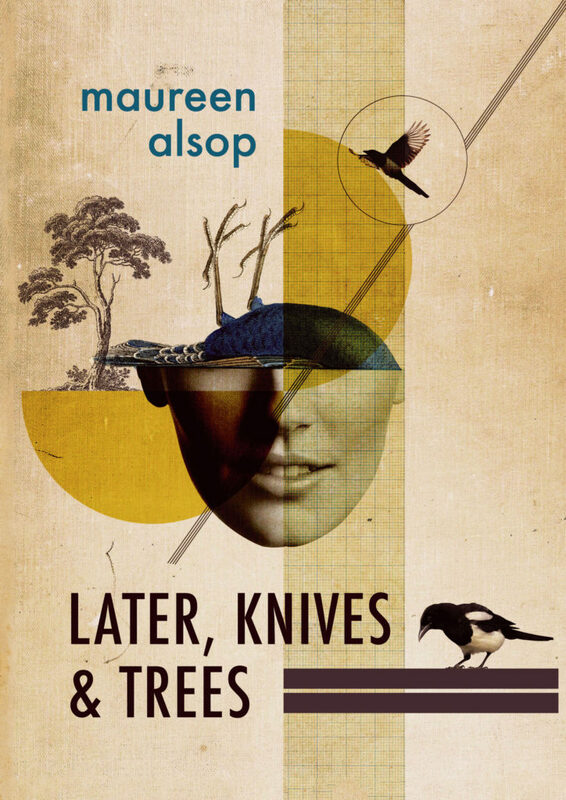 This entry was posted in Mantic, Negative Capability Press and tagged independent press, later knives & trees, Maureen Alsop, negative capability press, new release, Poetry. Bookmark the permalink.